The 2018 Markham Challenge is April 8th at 8:30am. Register online at www.racemarkham.com Cost: $35 adult/ $20 Junior. Online prices are good until registration closes Friday April 6th 9pm. Price goes up for in person registration on April 7th to $45/$25 respectively. 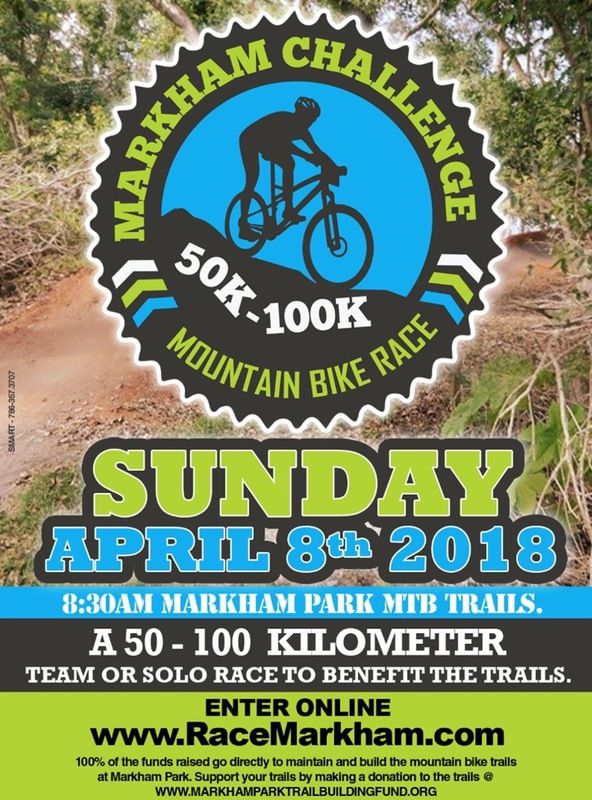 The Markham Challenge is a 50km or 100km Solo and 100kmTeam mountain bike race. Teams may consist of up to 4 riders.